THIS WEEK’S OTHER FEATURED BOOKS, “WHALE FALLS,” BY CECIL BOTHWELL AND “HOBO’S REVENGE,” BY BILL DELOREY, CAN BE FOUND BY SCROLLING DOWN BELOW THIS POST, OR BY CLICKING THE AUTHOR’S NAME ON OUR AUTHOR PAGE. SUMMARY: Seventeen-year-old Rachel Morelli has been waiting for the day that her next door neighbor and crush, Evan, comes home from Vietnam, sure that he will help her convince her dad to let her go to Pratt University instead of Kent State where her dad is a professor. But when Evan returns home injured, losing all of his own dreams, Rachel must set out alone to convince her dad she should go to Pratt to pursue her dream of becoming an artist. Meanwhile, Kent slips ever further off of its axis, in step with the growing discord across the nation. Caught between her love for Evan and her desire to escape Kent, Rachel must navigate a changing world to pursue her art, unaware that she and her small hometown are on a collision course with disaster. THE BACK STORY: My family was deeply affected by World War II and the Korean War, so I have always had an interest in the way war affects the families who stay home as well as the troops who return. When I saw a documentary on television about the Kent State shootings, it struck me very much as a story of young people, for young people. WHY THIS TITLE: Because none of us can really leave Kent and the events that happened at the University that day. WHY SOMEONE WOULD WANT TO READ IT: Those wishing to know more about what caused the events at Kent State, and particularly why there as opposed to one of the schools like Berkeley or Ohio University where clashes between student demonstrators and police were frequent, will see the way in which Kent became a microcosm for what was happening across the United States. “The novel’s descriptive language provided great imagery and ideally set the scene. The novel’s main character, Rachel, is very likeable and shows great character development throughout the novel. Her thoughts and feelings are easy to relate to. 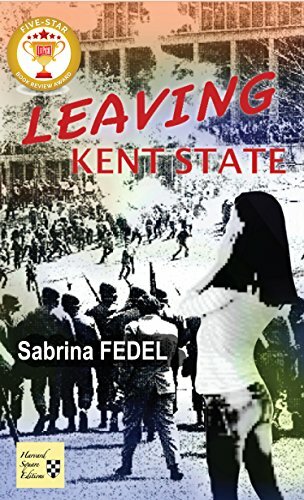 Overall, Leaving Kent State is a great novel and I would recommend it to anyone looking for historical fiction with elements of romance.” — Litpick, 5 star review. 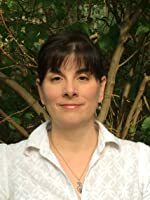 AUTHOR PROFILE: Sabrina Fedel is a 2014 graduate of the MFA in Creative Writing, with a concentration in Writing for Young People, at Lesley University in Cambridge, MA. Her work has appeared in online and print journals. Her 2016 YA short story, Honor’s Justice, was nominated for a 2016 Pushcart Prize as well as a Sundress Publications Best of the Net ’16 Award and a Story South Million Writers Award. Sabrina teaches English Literature at Robert Morris University.